UFO Jeans is a Canadian apparel manufacturing company established in 1990 with an in-house design, production, and administration team of 9. They have partnered with a manufacturing unit in Bangladesh with a dedicated staff of 35 that develops and manufactures approximately 4 million units annually via their 5 factories. The well-seasoned team had successfully created an email and spreadsheet dependent production system. 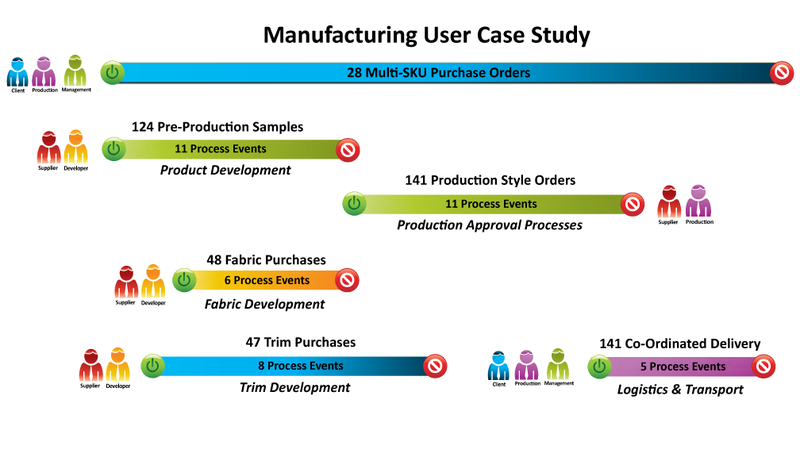 The challenge was that the purchase orders were grouped according to season and fabric requirements with minimal style information, requiring multiple revisions, thus making it very difficult to adapt to the traditional software solutions. The design team was required, via use of their spreadsheet driven orders mechanism, to follow up on all development samples and raw materials in order to keep production running smoothly and on schedule. This generated massive amounts of emails, clogging inboxes, resulting in an unread email backlog and constant escalation of issues. 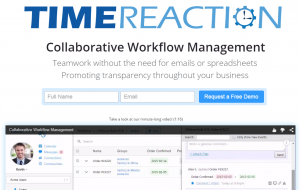 Timereaction reduced the volume of email and attachment dependency via the process-driven collaboration platform. Upon entry of a purchase, pre-established timelines automatically generate milestones that drive the development and production process from a centrally shared calendar. 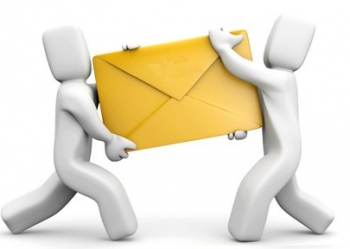 The associated message thread allows nested commenting and attachments based on the steps within the process, permitting transparency across the design, production and manufacturing teams. Cloud-based technology will allow transparent product and document management across the entire value chain, resulting in reduced errors. Timereaction was able to reduce the volume of daily email by approximately 70% across the production team based on a daily average of 300 emails a day per participant. More important was the fact that the messages that were received followed a logical workflow driven activity stream, enabling the teams in both the Montreal and Bangladesh offices to effectively communicate on the issues that mattered based on priority. Productivity was increased by approximately 20% due to the reduction of email and the quality of communications between the globally divided entities, allowing the teams to efficiently manage their assigned responsibilities. The geographical time zone difference permitted 2 hours of overlapping time when both teams were in the office to resolve any urgent issues. The simple event calendar permitted easy adoption and definition of prioritized tasks, clearly defining goals and keeping all departments synchronized and on track. The study revolved around 28 purchase orders of approximately 1.3 million units. This manageable number quickly divided itself, with 124 pre-production samples assigned to the development team, and 141 unique style purchases handled by the production team. It is important to note that we did not take into account separate SKU’s. In addition, there were 47 fabric and 48 trim purchase orders to manage. If you quickly run the math, this results in 501 separate workflow trackers for a production team of 6 individuals at the Montreal head office. While this might begin to illustrate how complex the manufacturing ecosystem is, it is important to note that within each workflow, there are events that occur on a daily basis. If you extract the information provided above, there are 4,286 separate events across development, production and logistics departments, any one of which can result in errors or delays. Once the impact of the sheer volume of processes is analyzed, it becomes important to focus on the reduction of the development and production timelines. This reduces time to market and better cash and inventory management. The 2 key metrics gained from this study indicate that you can cut down your late process time by 50%, bringing your product to market much quicker, improving cash flow and minimizing compliance issues.